From Oldcastle Infrastructure, the leading manufacturer of precast concrete in the US, comes the StormCapture® total storm water management system. Whether your site needs a simple detention system to prevent storm drain overloading, a groundwater recharge system for Low-Impact Development (LID), a storm water treatment system to improve water quality, or a complete storm water harvesting system, StormCapture® will provide your solution. Large Storage Capacity - Smaller system footprint for greater design flexibility. 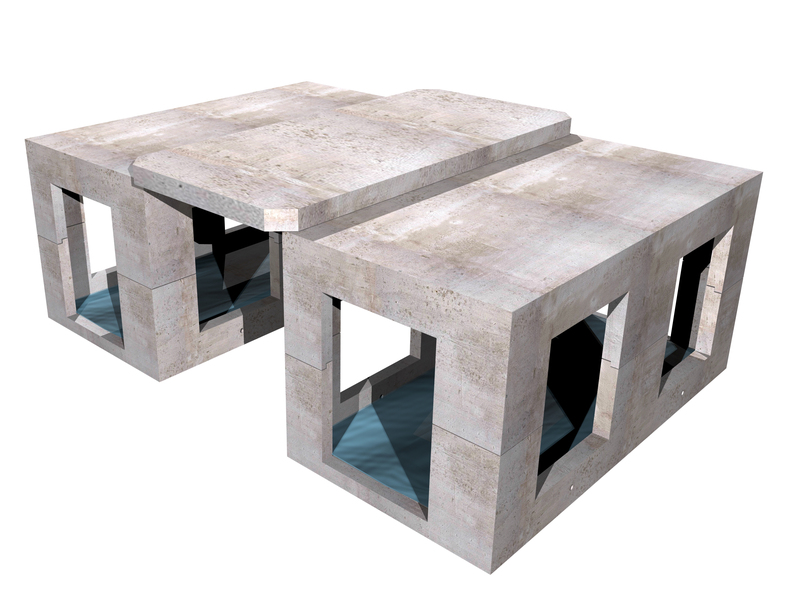 Modular Design - Precast concrete modules measure 8' wide by 16' long OD, (7' x 15' ID), with customizable heights. 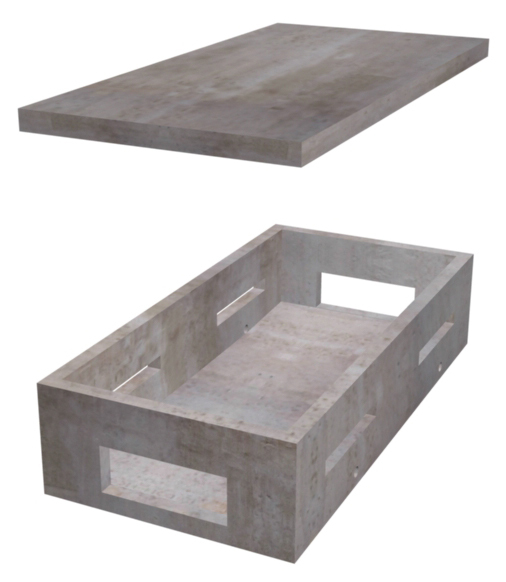 Custom Sizes - Available in internal heights from 2' to 14' to best-fit site needs. Treatment Train - Available with pre-treatment, post-treatment, or both. Backfill Requirements - Modules are typically backfilled with existing site materials. Easy to Install - Fast Installation with minimal handling. Traffic Loading - Only requires 6" of cover. Design Assistance - Let our professionals customize for your specific needs. Construction Site Friendly - Contractor does not have to relinquish any ground on the site once the StormCapture system is installed. StormCapture® has many solutions for detention, retention, treatment, and harvesting that involve a combination of many parts designed to solve your storm water management needs. Whether your site needs a simple detention system to slow down runoff to prevent storm drain overloading, a groundwater recharge system for low-impact-development, a storm water treatment system to treat water quality, or a complete storm water harvesting system, let us show you how we can design and customize a solution for you. StormCapture® provides cost-effective solutions for site applications where storm water needs to be detained and allowed to discharge at a controlled rate. 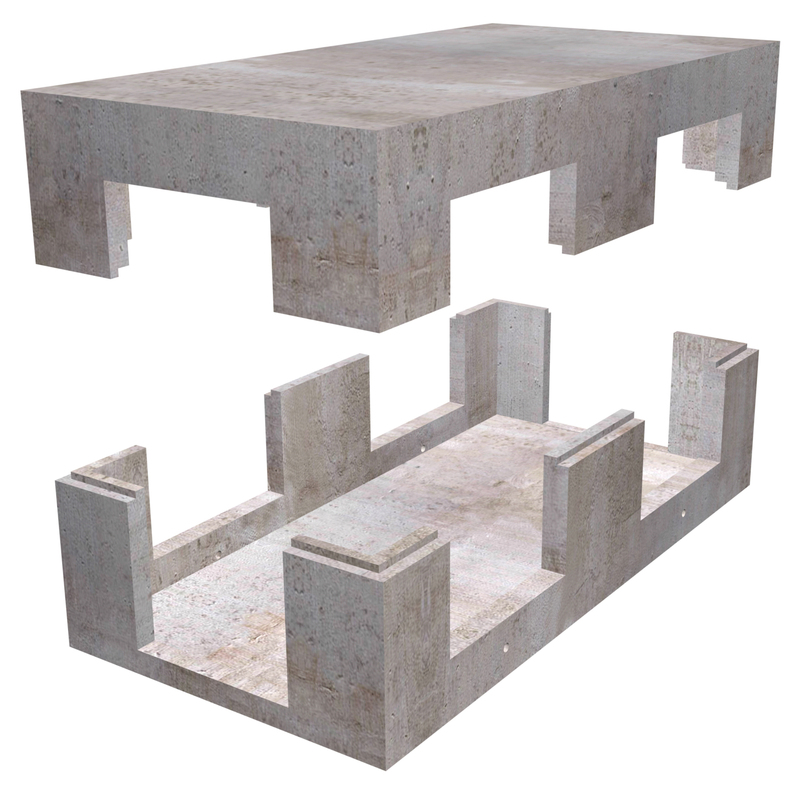 StormCapture® systems are designed for superior performance and the structurally efficient precast concrete design allows for maximization of developable land by allowing detention to be placed efficiently and easily under parking lots and roadways with very little cover, as well as in non-traffic areas. For applications where the goals are to retain rainwater or storm water for some type of harvesting and reuse applications, StormCapture® provides cost effective solutions. StormCapture® retention systems are available as single modules for small applications, as well as multi-module systems for thousands or hundreds of thousands of gallons of storage. Oldcastle Infrastructure’s StormCapture® Harvesting System is a total storm water management system. Water harvesting is the collection, storage, cleaning and recycling of storm water to replace or reduce the consumption of municipal potable water. Harvesting provides a return on investment in storm water management while meeting regulatory compliance and potentially reducing fees and/or earning incentives. Eliminate the issues created with discharging storm water offsite by using a StormCapture® exfiltration system to infiltrate storm water into the soil for natural treatment and to replenish local aquifers. Low-Impact-Development is a growing trend that involves managing storm water at the source. Where soils are conducive to the natural infiltration process, StormCapture® exfiltration systems are a great choice. 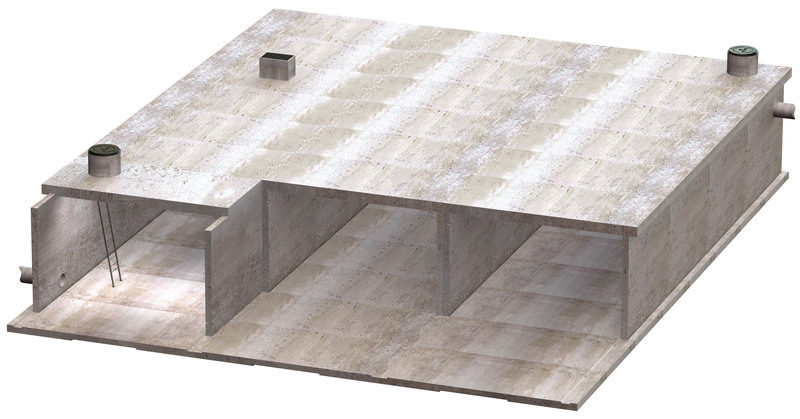 StormCapture® allows maximization of developable land by allowing detention to be placed efficiently and easily under parking lots and roadways with very little cover, as well as in non-traffic areas. StormCapture® Cisterns provide space-efficient and sustainable long-term storage for harvested rainwater and storm water. 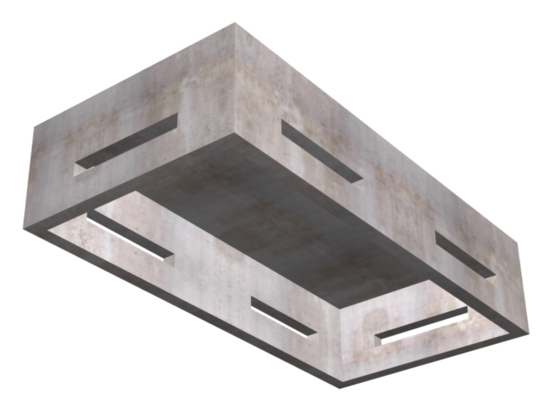 Structurally efficient precast concrete modules are designed for superior performance. StormCapture® cisterns are available as single modules for small applications, as well as multi-module systems for thousands or hundreds of thousands of gallons of storage. PermeCapture™ combines the advantages and versatility ofStormCapture® structural precast concrete underground storage modules with the aesthetics and performance of Belgard® permeable interlocking concrete pavers to provide a standalone maintainable, LID green solution for total storm water management. 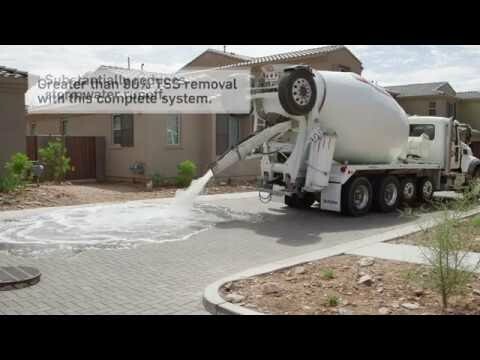 Realize the full potential of your permeable interlocking concrete paver surface treatment through the PermeCapture™ system. 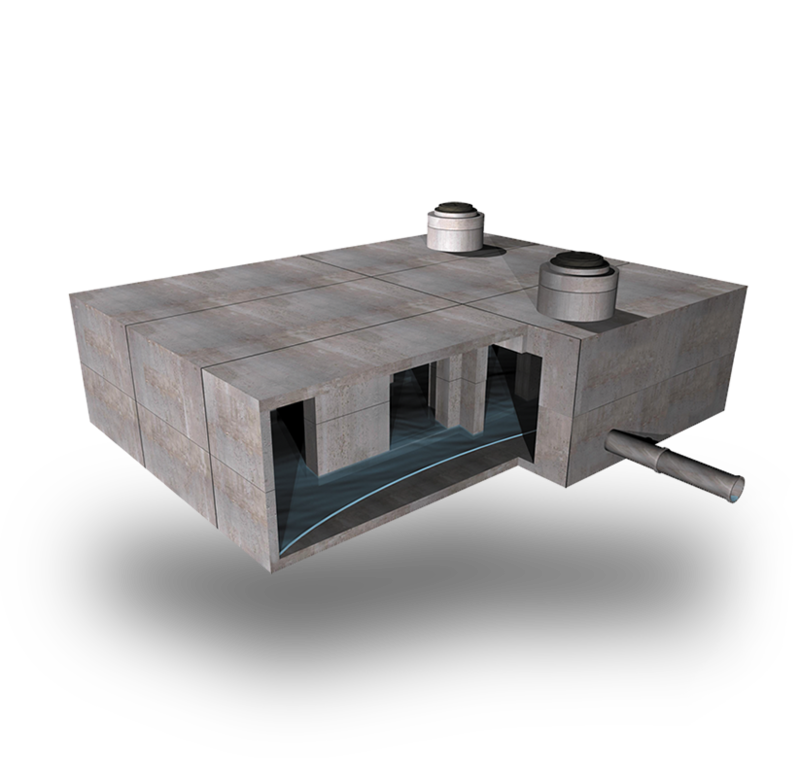 Water is filtered from the surface down to collection in the StormCapture® modules for controlled management. PermeCapture™ system applications include storm water retention & harvesting, detention and ground water recharge. Beauty, functionality and quality are hallmarks of the Belgard® Commercial Hardscapes brand, and our Environment Collections of permeable interlocking concrete pavers is no exception. When combined with the StormCapture® modules, the Belgard® permeable interlocking concrete pavers provide the collection mechanism for PermeCapture™, a superior and complete storm water management system. Infrastructure treatment options such as pretreatment, post-treatment, oil water separators and sandfilters are available as a stand-alone system, as well as integrated with StormCapture. Contamination of our water resources with hydrocarbons is an especially difficult problem to solve because of the widespread use of petroleum products. Oldcastle Infrastructure offers two styles of oil water separators to intercept hydrocarbons in storm water runoff, the generic baffled style for lower concentration areas, and, for hydrocarbon “hot spots” we provide separators that use enhanced coalescing plate technology and gravitation separation to improve the separation process and reduce the frequency of maintenance and cleaning. Oldcastle manufactures a variety of hydrodynamic separators for pretreatment, as well as a full line of filter systems for advanced treatment. Many of these treatment BMPs can be fully integrated within the StormCapture system. We provide Installation and Operation & Maintenance Manuals. Sandfilters are proven technology that effectively removes pollutants from storm water runoff after construction has been completed on a given site. Sandfilters are typically triple-chambered structures. The first chamber serves to pretreat the storm water by allowing larger sediments to settle out and trapping some floatables. Pretreatment is critical in reducing maintenance frequency by removing some of the larger pollutants so that the filter bed will not become clogged quickly. The second chamber contains a filter bed comprised of sand, or other filter media, that will filter out finer particles and other pollutants. The third chamber is a clear well chamber for cleaned water prior to discharge. Each filter can be sized to match your application, thereby making best use of site conditions and providing best options for more efficient maintenance. Oldcastle offers both perimeter-style (at grade) and underground sandfilters. Our sandfilters feature a high-flow by-pass option and comply with underground structure requirements. Most can be installed in one day.